And Here We Go! : Is Sunday School Destroying Our Kids? 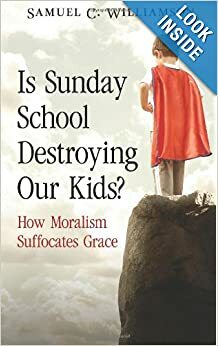 Is Sunday School Destroying Our Kids? Does that title grab you or what?! 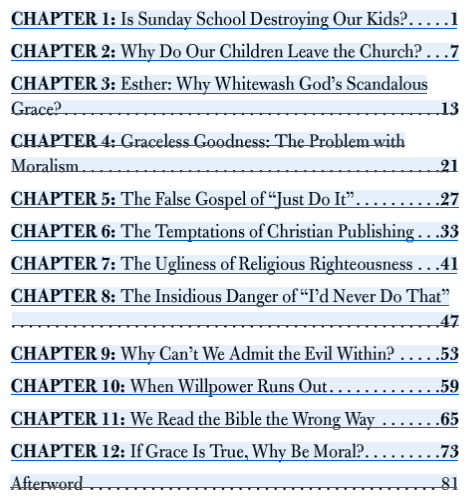 No, this book actually isn't even about Sunday School. It's about morals versus grace. It's short (fewer than 100 pages), to-the-point, and can be read in an hour or two. Oh. . .
Reading this quick book reminded me of something I read on facebook not long ago, did you see it, too? 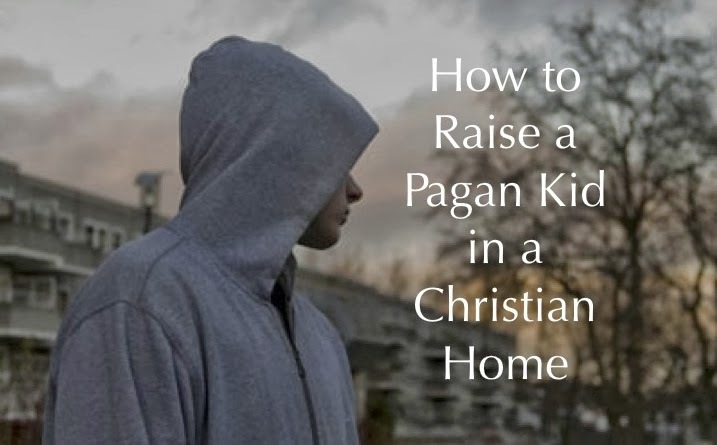 It also talked about the dangers of moralism supplanting the need for grace in our kids. Click here to check it out; it's awesome, too. …We’re drinking a cocktail that’s a mix of the Protestant work ethic, the American dream, and the gospel. And we’ve intertwined them so completely that we can’t tell them apart anymore. Our gospel has become a gospel of following your dreams and being good so God will make all your dreams come true. It’s the Oprah god. So I had to peel that apart. I realized I’m not supposed to be pursuing impact, I’m supposed to be pursuing God. And when I pursue God I will have exactly as much impact as He wants me to have. Dr. Albert Mohler, president of Southern Baptist Theological Seminary also has a great article entitled Why Moralism Is Not The Gospel - And Why So Many Christians Think It Is. Click here to read that one if you'd like. Interested? Stuff like this just fascinates me, I think it's because I'm a recovering legalist. I like rules. I like knowing what I'm supposed to do. If I follow the rules and check the boxes, I get praise for a job well done. That praise becomes my self-worth. I am significant because so-and-so thinks I'm a good wife/mother/daughter/friend/tutor (pick your poison, right). That's what I've believed for so long, and I've looked down on others who didn't follow the same rules or share my standards. What makes them so special that they don't have to do what I have to do? The nerve! Oh, friends, God has been doing some work on me! Don't get me wrong, there's still much more to go, but praise God for His grace and mercy to continue chipping away at my ever-so-uglies. There are too many good things to share about this book! I'd LOVE to hear your thoughts on this amazing little book! It's $3.99 for your Kindle and $5.99 for the paperback. I'd also love to know your thoughts on grace versus moralism. It's something I struggle with quite a bit, and I need to be reminded daily that there is absolutely NOTHING I could do as a Christian that will make God love me anymore than He does right now. Nothing. When the Creator of the universe looks at me, He sees his precious Son. Interesting idea, I wish it was on Nook too. I'll have to keep an eye out for it, and read it later. Now I want to read the interview with Phil Vischer because I love his newer stuff, and I'd agree a lot Veggietales smacks of moralism, especially the more recent stuff. I was surprised to hear about Big Idea's bankruptcy when I read the interview. But I'm very happy to hear how God has turned Vischer's heart back to the gospel! Whoa!!! Good, good stuff!!! You and I need a girl's night out just to chew on all this good stuff!! I definitely want to read this book. You KNOW that I struggle in this area too. Grace is SO freeing!!! Thanks for sharing. Let's talk more about it soon!! Love you, Friend!! I agree, Jennifer! Girls' Night Out should be planned VERY soon! I'd love to talk about this with you; the book was just so to-the-point and in-your-face about God's grace. Amazing! Curiously, how do I get the "free" kindle copy? My amazon account shows $3.99. I'll pay it, but if I can get it free that's definitely better! Jellytelly (from Vischer et. al) is loaded with incredible content to include the Buck Denver "What's in the Bible" series. I think we are about to ride a beautiful grace wave in the church and I'm thrilled for it! Hi Kelly! It looks like the price has changed since I posted... sorry about that. We love Jellytelly, too! And I LOVE how you phrased your comment, "about to ride a beautiful grace wave..."! That's lovely, and I hope it's true, too. :) Thanks for taking the time to comment, friend! I found you from the Google link Sam posted. I love your review and believe I'll love the book even more. God has been slowly teaching me this as well, and I can say that for the first time in my life, I'm OK with making mistakes because I know GRACE HAS ME AND WON'T LET ME GO. Thanks for posting! That's a great way to put it! Yes, Grace has me and won't let me go - love it! Thank you for sharing, and God bless you!